BG Sentence To 14 Years In Prison. BG, a rapper that helped build Cash Money Records, was sentenced to 14 years for possessing a firearm, conspiring to obstruct justice and other charges. BG, born Christopher Dorsey, was sentenced on Wednesday in New Orleans by U.S. District Judge Helen Berrigan. Judge Berrigan also gave BG three years of supervised release at the end of his jail term. The 28-year-old rapper pleaded guilty in December to the charges, which stem from a 2009 arrest. BG, a felon, was convicted on three other felonious charges from 1998 to 1998. Jerod Fedison and Demounde Pollard were also sentenced to prison time for their role in the case. 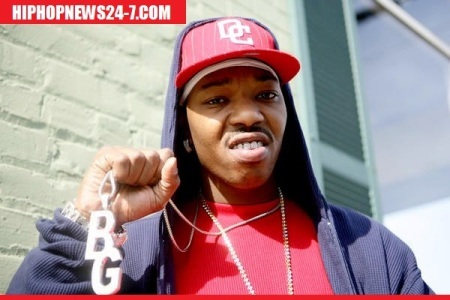 BG was a marquee artist with Cash Money Records and coined the term “bling bling,” which represented excessive jewelry. Terrell Owens’ Baby Mama #4 Finally Speaks! Does She Forgive Him?